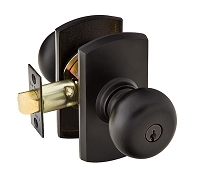 At Home Hardware 4 Less, we have a wide range of front door knobs and keyed door knobs in stock. 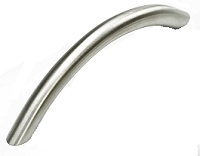 We offer all types of functional door hardware to suit your needs. We have direct relations with top class manufacturers like Emtek, Schaub and Company, Fusion, Nostalgic Warehouse and Grandeur by Nostalgic (We have been an Authorized Emtek Products Dealer since 2000). We get the best quality door hardware like the keyed door knobs for you from these manufacturers and that too at very cheap prices.We offer an exclusive range for front door knobs at reasonable prices. We are committed to customer service and strive to deliver the best products to our customers at the lowest prices. 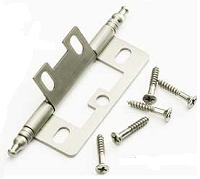 For any help related to Door Hardware, you can visit our Door Hardware Help section. It talks about Handing, Backset, Keyed Alike option and Manufacturer Help. You can use the order help form to get any help regarding orders. We are always eager to assist you with any questions or concerns that you have while placing an order. We would love to answer any questions regarding your needs and help you find the perfect hardware solution you need.